Elliot Martin conducts research in shared-use mobility, public and freight transportation, transportation energy, and life-cycle assessment. He has advanced research that measures the impact of shared mobility systems on greenhouse gas emissions, modal shift, and household vehicle holdings. He has led a major research-deployment project on truck parking availability within California, analyzed data from urban parking systems, and supported research in advanced and alternative fuel vehicles. 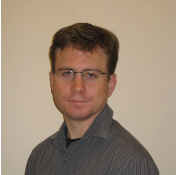 He specializes in research instrument design and applies statistical approaches to the analysis of freight movement, sensor performance, vehicle activity data, and travel behavior surveys. Elliot earned a Ph.D. in Transportation Engineering following a dual Masters in Transportation and City Planning, all at UC Berkeley. He completed his undergraduate degree at Johns Hopkins University. He previously worked as an Assistant Economist at the Federal Reserve Bank of Richmond.